The discovery that gods make good objects of research was not made by contemporary anthropology. The very first anthropologists never failed to recommend making an inventory of the various kinds of powers at large in a village or scattered the length and breadth of a kingdom. However, by the end of the nineteenth century, two generally shared beliefs were obstructing the analysis of those vast groups of supernatural powers distributed among the archaic societies and civilizations of history that were then held in the highest esteem, such as—to give a random sample—China, India, and Greece. It would seem that the first comparatists, from Tylor to Frazer, were convinced that the stable, if not permanent, element in all cultures was ritual organized around a single theme, with a whole structure of festivals and holy days in the calendar. This justified the fascinated attention that they paid to ceremonies marking turning points in the year or to the adventures of magic kings in Africa, in India, and in classic civilizations ranging from Italy to Scandinavia. At the same time the anthropologists, believing as they did that divine entities come and go and reappear without reason, tended to share the conviction that all the figures in this fluid and inconsistent supernatural world needed to be explained separately, if they could lay claim to names of their own and to individual characteristics. Throughout the nineteenth century, both ethnology and the history of religions were preoccupied with genesis and evolution. For partisans of animism, devotees of totemism, and theorists of the elementary forms of religious life, representations of the soul, different types of spirit, and the forms taken by superior entities all provided viable approaches to the major question: namely, the origin and development of the idea of the divine. In the field of Greek religion, far from the inhabitants of Nigritia (whom President de Brosses encouraged to bear witness to the idolatry and fetishism of original times), one philosopher seems to have pointed the way forward: Hegel recognized the existence of a pantheon peopled with gods who lived together, each with a personal life, and with conflicting passions and interests. The gods of Olympus ceased to be cold allegories, each set upon a pedestal. Each one became a signifying form, but the “polytheistic” (from the Greek polutheos) world seemed impossible to organize into a systematically articulated whole. 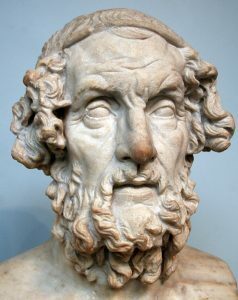 Then Olympus was discovered through Homer’s mirror, and those who wrote its history, such as Creuzer and Welcker, were more concerned to discover an intuition of the absolute among the gods of Greece than to explore the different ways in which they were grouped together that had been observed by Pausanias in his description of Greece at the time of Hadrian. In the early years of the twentieth century, the division deepened between, on the one hand, the ”gods of crossroads” such as those of Nigritia and, on the other, the great gods of a polytheism that had been restored to its erstwhile paradigmatic state, that is to say confined to Greek culture shut in upon itself and once more the private domain of its own preferred historians, who showed no interest in any comparative reflection on the polytheistic groups of either yesterday or today. Between the 1920s and the 1940s, the preserve of the Greek gods was the scene of a clash between positivist historians and spiritual interpreters. 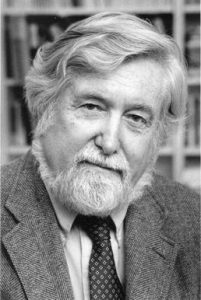 On the one hand, Martin P. Nilsson, with his flawless erudition, tackled the divine powers from the vantage point of common sense and on a solid no-nonsense basis that enabled him to identify simple representations that researches into history and the imaginary were later to deck out with multiple, many-faceted figures. On the other hand, Walter F. Otto, with his intelligent hermeneutics, tried to show that each god signified a particular sphere of existence, an exemplary experience of mankind ”present in the world.” Those two approaches were not without their respective merits, but both were equally indifferent to the actual nature of polytheism: a complex system of relations between a variety of supernatural powers and entities. It was with Georges Dumézil and under his influence that, in the 1960s, historians and anthropologists began to take an interest in polytheistic groups on their own account, in how those systems of gods were organized, and in the various ways that societies such as Greece, Rome, and India saw themselves through those religious entities. Dumézil replaced the historico-genetic approach, which was dominant in his day, by a “structural” analysis that concentrated on complementarities, oppositions, hierarchies, and complexes of relations. After twenty years spent analyzing the configurations of gods and microsystems dispersed throughout his own preferred field of research, namely the Indo-European domain, Georges Dumézil began to exert a major influence on scholars resolved to take the gods seriously, whether in the Caucasus, in Greece, or in India. It is worth pausing to reflect on this: the gods that Dumézil discovered or helped others to discover played an essential role in the comparative (and experimental) study of the “religions of the Indo-European peoples.” Indeed that was more or less the name given to the department of studies at the École Pratique des Hautes Études (Sciences Religieuses) where Dumézil was to work for thirty years. 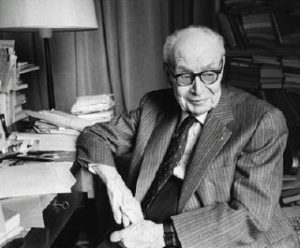 The old subject of “comparative mythology” that he had chosen in 1935 was eclipsed in 1945 and by 1948 had given way to “Indo-European civilization,” this time at the Collège de France and in other scholarly circles. The starting point for Dumézil’s intellectual undertaking was gods who were interactive, gods in groups, collections of divine powers. The old “comparative mythology” had sought to apprehend their essence and etymology on the basis of linguistic equations. The new comparative method, established in the domain of Indo-European studies, was, for its part, primarily interested in the order in which they were listed, the hierarchical relations between them, and the forms of opposition or complementarity that made it possible to explore “theological” data such as the precapitoline triad formed by Jupiter, Mars, and Quirinus; the triad of Upsala gods (Odhinn, Thôrr, Frejya); the list of the Âditya in ancient India; and that of the Entities (the Amasa Spanta) of Zoroastrianism in ancient Iran. These were complex but primary data that established what Dumézil was to call “the fact of structure,” and thereby facilitated access to the “ultrahistory” of Indo-European civilization, which was now to be enriched by interconnected groups of concepts detected from a strictly structured common vocabulary that formed the framework for a system of thought in which “asterisks” proliferated and which was invariably proto- if not pre-historic. Analysts of polytheistic groups unrestricted by Indo-European constraints were to continue to adhere to a number of the principles on which Dumézil’s inquiries were based. The first, already mentioned above, was to pay attention to the structures that were immediately apparent in many polytheisms; altars devoted to a plurality of gods; sanctuaries consecrated to several gods at once; festivals and rituals that associated now two deities brought together for a particular occasion, now two different aspects of a single power; aspects that were contrasted in various ways—by their respective modes of sacrifice, for example. The polytheistic societies of both yesterday and today manifest a wealth of collections of deities, in circumstantial or recurrent groupings, and in monumental or ephemeral configurations. The “already-structural” (to respect Dumézil’s terminology) is the raw material for analysts, who will gather what they will from it, before embarking on their own hunt. The “structures” are there; you simply need to take care not to trample them underfoot, for with a modicum of skill those “savage thoughts” can be deciphered, along with what they signify or are beginning to signify. The second principle, which stems from the first but makes it possible to circumvent the limitations of the trifunctional framework so necessary to Dumézilian thought, is that no god can be defined in static terms. The analyst’s task is to identify the entire range of positions occupied by a deity within a polytheistic group. Alongside what is made “clearly manifest” about the gods and their actions—which the skills of ultrahistory aim to fasten on first and foremost in every culture—the analyst needs to identify all the forms of association and contrast that the culture experiments with, even implicitly. In the process, the analyst, believing that it is necessary to study the gods in relation to one another, will strive to define their respective limits and to establish the boundaries between their respective fields of action. The assumption common to much new research carried out or authorized by Dumézil (it must be emphasized) was that the surest validation for an analysis of the relations between gods or the definition of the field of action peculiar to a divine power would stem from some native statement, particularly one of a theological nature: a statement produced by the polytheistic theologians who were, in fact, frequently the “administrators of memory” and who, down through the ages, transmitted not only the most conscious beliefs but also, along with those, all that was abandoned to the historical subconscious of the language and the civilization that that language conveyed. The last principle, sketched in by Dumézil in 1949 and confirmed in 1966, was at once more innovative and harder to put into practice. More innovative, because it introduced an important distinction between a god’s field of action and that god’s mode of action. The field of action of divine power encompassed the places and occasions where gods offered their services; and some deities, led on, as it were, by the overdevelopment of the “function” to which they were linked, found themselves intervening in domains very distant from what appeared to be their basic province. So the thing to do is to discover “not where a god intervenes but how the god does.” To define a god’s modes of action is thus to move beyond the points at which the god intervenes, beyond the scenes in which the god appears, and to seek to establish “a constant manner and constant means of action.” The mode of action must be precise and specific to each god. This was a very innovative principle when applied to experimental practices that Dumézil envisaged very early on but which, once applied, clashed with the fundamental structures of the Indo-European civilization that he was seeking to understand, that is to say, with the three functions and the whole pattern of tripartition. For Dumézil, a function was synonymous with activity, social activity, the activities of men in society, those who wielded power, those who waged war, and those who produced goods and food. The most important gods were those who presided, alone or in couples, over the major functions, and were active in that way: they were agents, and very busy ones too. Dumézil frequently calls them “patron-gods” (the bosses). Doggedly, he analyses the interrelations of these divine figures from one function to another, always mindful of the different “aspects” of a particular function, but more inclined to dwell on the basic characteristics of the deities who were “patron-gods,” while leaving aside those who performed “lateral and accessory” services. Let us pause to reflect on that formula: “the basic characteristics of the patron-gods.” It echoes what the Greeks, from Homer down to Herodotus, thought, and indeed said, about their gods: namely, that each of the divine powers had been allotted a timê, a particular field of action that was the god’s prerogative and that was limited by the conditions of the allotment. The most famous distribution was that organized by the new king of the gods following his victory over the Titans. Each god and each goddess was allotted what the Iliad calls erga, that is to say tasks, work to do, activities: tasks of which both the gods and men show themselves to be very much aware when they talk about them among themselves. In book 5 of the Iliad, Aphrodite flies to the aid of Aeneas, who is in deadly peril as he confronts Diomedes who, for his part, immediately recognizes Aphrodite and relishes using his physical strength to hurt her, “knowing that she is a god without strength (analkis), and not one of the goddesses who have mastery in men’s battles, not Athena or Enyo, the sacker of cities.” Aphrodite is wounded and her blood, or rather ikhôr, begins to flow. Fainting, she manages to reach her lover-brother Ares, and begs him to spirit her away immediately. Zeus consoles her, at the same time tapping her on the cheek and reminding her that she is not a deity who has been allotted the works of war. “War’s work, my child, is not your province. No, you busy yourself with marriage and the work of love.” The two “functions” or domains of activity are distinct, separate, carefully delimited—or seem to be. Yet, as is quite clear to any observer of Greek polytheism, in “marriage and the work of love” Aphrodite does not operate alone: Hera, known as the Accomplished One (teleia) is also active there, together with Zeus, who is likewise teleos; and the sensual Charites are present, along with the Seasons, the Hôrai, as are Hermes and Artemis. 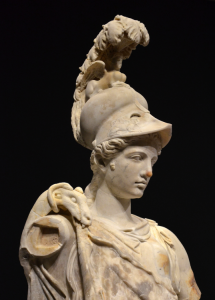 Similarly, the “works of war” mobilize not only—obviously enough—Athena and Ares, but also Enyô and Enyalios, not to mention the couple formed by Ares and Aphrodite who, in Argos and possibly also in Crete, were stationed at the gates of war. Zeus is as much aware of all this as is Diomedes, even though he tells Aphrodite that where the works of war are concerned, it is Athena and the ardent Ares who are constantly vigilant. Equally aware are the other powers who are deliberately kept out of it at this point: it would have been inappropriate for the Aphrodite of Ares to confront Diomedes and Athena. According to this model—and what a model it is, homemade, and (what is more) by Homer!—there are, on the one hand, respective domains assigned to the great gods, all with their limits: one god must not encroach on the domain of another; and woe betide any mortal who forgets to acknowledge the preserve of the appropriate deity on setting out to sea, deciding to marry, or going off to war. On the other hand, each of these “great domains”—or “functions,” as Dumézil called them—is crossed by a whole series of powers or, in some cases, shared by a large number of gods, each of whom seems to take charge of one particular aspect or dimension, the significance of which is partly concrete, partly abstract. Polytheism is thus more complex than Zeus appears to suggest on Olympus and his great knight Dumézil implies when he boldly separates one mode of action from another. For now, let us simply note that Dumézil’s work, whose very principles proved so inspiring to others, followed on in direct line from the socioanthropology of Marcel Mauss, with its insistence on seeking categories and classifications. In those days, nothing seemed more innovative and stimulating than considering the “gods as a society,” a vast “classification system”: Mitra and Varuna, enclosed in their sovereignty, suggested a formal principle of classification; the formulas of tripartition revealed structured groups, concepts, ways of classifying the major forces that drive the world and society. Picking out categories in archaic societies and listing the forms of classification at work in mythologies and religious systems are undertakings that have continued to help us to gain a better understanding of the human spirit, considered in the context of its history and in all its variations. All the same, by suggesting at a certain point in his inquiry that the gods, rather than being defined by the range of positions that they may occupy, can be characterized by the intentions and means of their actions, Dumézil placed the analysts of polytheisms in danger of reinforcing that most traditional of paradigms, the “individuated god,” the god who can be confidently identified and recognized from a number of constant features. What we seemed to have gained by noting the entire range of positions that a deity occupied in the polytheistic system as a whole, we were in danger of losing by switching to the model of a static pantheon, inhabited by agent-gods individually classified according to a single, constant mode of action. By allowing himself to be drawn into defining a “patron-god” on the basis of his fundamental characteristics and his specific mode of action, Dumézil returned us to the starting position of classic pantheon analysis. Those laboring patiently and stubbornly over a monograph in the form of a thesis savored their triumph: their choice had been right, and as for their careers, there could continue to be no better, given the judgment of their historian peers and the confidence shown by their own “patron” in this vale of tears. The time has now come for me to propose experimenting in the field of polytheisms, in particular those most familiar to me, that is to say first and foremost the gods of Greece. It is now about twenty-five years since I first tried to pinpoint the differences between divine powers who seemed to share a common field of activity—one that included equestrian skills, navigation and metallurgy—but who appeared to intervene there in quite different ways. My study took the form of a series of analyses directly inspired by the two principles established by Dumézil: (1) that in order to define a divine power, it is necessary to review the whole series of positions occupied by that deity in the polytheistic system as a whole; and (2) that one should begin by studying the habitual groupings and the religious and mythical associations between two or more divine powers, in order to explore the nature of their respective relations, first in the most explicit contexts and then, progressively, in others less obvious and less familiar. Those two principles provoked an immediate critical reaction from the historians of Greek religion who considered themselves the institutional guarantors of monographic interpretations. My “structural” analyses were conducted within the framework of research into the forms and configurations of cunning intelligence. 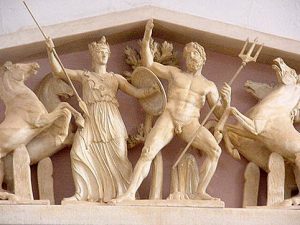 They focused on Athena and Poseidon, and Athena and Hephaestus, endeavoring to pick out the differential characteristics of gods who were associated together through one particular form of practical intelligence which, however, each of them oriented in rather different ways. It seemed judicious to describe these different inflections against the common background of mêtis, ‘cunning intelligence’, which had itself been represented in the form of Metis, a divine power of cosmogonic rank who, however, had at an early stage been swallowed by the future sovereign of Olympus. I think it was useful to make a close study of the technical skills possessed in common by several gods, such as metallurgy—at which Athena, Hephaestus, and the Telchines are all adept—navigation, and “the ways of making use of the horse,” a domain in which Athena and Poseidon are the foremost experts. Without summarizing those analyses, let me indicate their limitations from the “experimental” point of view that I propose to defend today. In the period from 1970 to 1974, it seemed to me illuminating to proceed to analyze, on the basis of a cult common to both Poseidon and Athena—the former being known as Hippios, the latter as Hippia—the configuration of two powers associated with horses, one of them equine, the other equestrian, two powers that apparently shared the domain of horses. These two great powers confronted each other in a complementary relationship that was particularly strongly marked in Corinth: there, Poseidon presided over the violence, the impetuousness, and the disturbing and uncontrollable strength of the animal, while Athena manifested herself by acting through the horse’s bit, the technical metal instrument that made it possible to gain intelligent mastery over the animal and all its natural force. The analysis of 1970–1974 concentrated on the respective modes of action of each of the two powers, focusing, in the context of “cunning intelligence,” primarily on everything that underlined the mêtis aspect of Athena, who is sometimes known as the daughter of Metis and Zeus, but is sometimes herself identified as the highest embodiment of mêtis among the gods. That analysis, which was conducted by comparing a selection of stories and rituals and which discovered a number of configurations similar to the initial “Corinthian” picture, came to suggest the idea that one could conduct a series of experiments that might immediately cast doubt on the criterion of a single, constant mode of action: simple enough experiments such as, for example, analyzing the horse with respect to both its “Athena” aspect and its “Poseidon” aspect; then setting each or both “experimentally” alongside, in the first place, the god of war, Ares—rich in horses and also in sacrificed horses—then Hera, the deity of Argos, so eager for “sovereign power” and so bellicose, if not positively warrior-like, for Zeus’ wife is also overtly hippia. Another possible comparison might involve Poseidon: the Demeter of Arcadia, a black Demeter with a horse’s head, an Erinys Demeter, and the horse Arion, born as a result of a mare-Demeter being mounted by a stallion-Poseidon. It would be a matter of seeing if any aspect of Ares, set in comparison to Athena or to Demeter confronted with Poseidon, could suddenly reveal a hitherto unsuspected dimension to horses, whether harnessed, mounted, or untamed, with or without a bit, destructive or inspired. And, conversely, this could provide a chance to detect in the resulting configuration certain dimensions of Ares, Hera, and Demeter which yet other manipulations might make it possible to confirm, correct, or reject. By undertaking such experiments, an analyst of the Greek gods gets as close as possible to the factual data of the polytheistic field selected. What we, along with the Greeks themselves, call the domain of the polutheos, the plurality of divine powers, is revealed by page after page of Pausanias’ Description of Greece, written at the time of Hadrian, and equally by every engraved stone that testifies to a city calendar or that confirms an association of deities within a single sanctuary, on a single altar, or in the organization of a particular sacrificial ritual. The grouping of gods is an essential aspect of the religious landscape of Greece, whether in major panhellenic sanctuaries or in remote country villages. 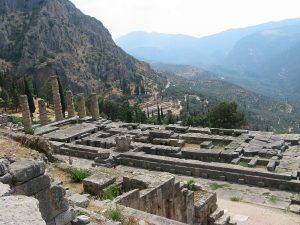 Thus, in the great temple of Apollo in Delphi, Pausanias noticed an altar to Poseidon, and other documents show that two other deities also shared this space: Gaia and Hestia. Moving on to Achaea, close to Patras, in the little city of Pharae, we find, in the public square, a quadrangular, bearded Hermes standing alongside the altar of Hestia, the deity of the public hearth. Furthermore, in this case, the Hermes-Hestia couple is activated by a ritual of divination. A little further on, in the same city, Pausanias came upon a field strewn with stones: thirty quadrangular, anonymous, unsculpted pillars. Now, on certain occasions, the citizens of Pharae would come to this place scattered with standing stones: “These [the stones] the people of Pharae adore, calling each by the name of some god.” Now let us proceed to Argos, this time in the company of Aeschylus. To this place the daughters of Danaus came, fleeing from their cousins, all the way from Egypt. Outside the city stood a little hill, a kind of sanctuary, filled with gods. Some were immediately recognized by the Danaids: Zeus Helios, the sun god, and Apollo. Others could be identified from particular distinguishing marks: Poseidon from his trident, Hermes from his wand. They shared altars in common. How were they arranged? In groups of three, of two, of five? Such combinations could vary from place to place, as is clearly shown by the case of the “Twelve Gods”: in Olympia, they are grouped into six couples; in Delos, there are four altars, each devoted to three gods. But no doubt they could equally well be disposed in two groups of six or three groups of four. Now let us consider the calendar of Erchia (an Attic deme), published in 1963. Col. A. 44 and col. D. 33 show that on the same day of the month of Elaphebolion, there was a sacrifice to Semele, and one to Dionysus, involving a goat and a college of women. The two sacrifices were made on the same altar. The animal’s skin went to the priestess and the meat was divided up, ou phora, to be consumed on the spot. In Gamelion D. 30 (and В. 37 and G. 40), three other gods were associated: there was a sacrifice to Poseidon on the same day and in the same place as a sacrifice offered to Zeus Teleios and to Hera. The place where this happened was the sanctuary of Hera, in Erchia. For this sacrifice, Hera was in the position of host. And Poseidon was directly associated with the couple that protected marriage. But how and why? Meanwhile, on the altar to Amphiarus, twelve stadia distant from Oropos, eighteen deities stood on the altar table, which was divided into five sections. And in Claros, in Asia Minor, in the great oracular sanctuary of Apollo, the principal altar was shared by Dionysus and Apollo. Polytheism in Greece finds expression on the ground, on altars, in temples, in sacrificial rules, and in figurative representations. The evidence that Greek culture provides for historians of religion takes the form of established groupings, organized relations between two or several powers, explicit relations of opposition or complementarity between deities. “Structures” are immediately manifest. At both the local and the Panhellenic levels, Greek pantheons present a rich variety of groups of gods, manifestations of hierarchies, symmetrical configurations of antagonisms or affinities. In choosing to work on groupings and configurations of divine powers, an analyst of Greek polytheisms manifests a resolute pragmatism, if not “positivism.” As historians with a monographic approach lazily continue to classify the “elementary structures” of the pantheon under the rubric of “associations” between one god and another, as the Altertumswissenschaft has always done, the analyst of polytheisms will draw their attention to the countless recurrences of associations and groupings of deities throughout antiquity, from Homer down to Porphyry, ranging from Zeus’ remarks about the Olympians’ respective “domains of authority” all the way down to the religious rules, dedications, and calendars of the Greek cities of the Hellenistic period. For at least ten centuries the Greeks had the same gods, used the same sanctuaries, and followed the same ritual practices, although that by no means ruled out local changes and contextual variations. The long survival of Greek polytheism provides an analyst with a field of experimentation in which, it would seem, full use has not yet been made of all the epigraphical discoveries and works of erudition that continue to enrich and, in many cases, renew our knowledge of pantheons and religious practices. Ever since historians began to write the history of religious thought and the history of the gods of Greece, the question of origins, if not that of etymology, has fascinated them as much as, if not more than, the question of what became of those gods — the vicissitudes that a deity might encounter as it passed from one sanctuary to another, or as it moved on from a particular configuration in one particular spot to become an isolated and dominant figure, at the invitation of a particular city at a particular moment in its history. According to F. Robert and others, historical evolution is the making of the gods, and also, no doubt, of everything else. I have no definitive reason to reject any inquiry that claims to find in history and its events the key to a particular grouping of gods or to a particular assembly of powers round some altar or in some sanctuary. But perhaps one could fairly object to a historian seeking for origins that he or she is obliged to fix arbitrarily on the initial content of a god’s “personality” before it becomes enriched—or impoverished (why not? )—by the fortuitous march of history and all its accidents. It is true that no analyst of polytheism can interpret or recognize a configuration or even a simple pair of powers without already having some idea of the silhouette or manner of Athena, Poseidon, or Apollo, as the case may be. Nevertheless, even if it is not considered prejudicial to believe that Athena is, for example, a “parcel of fetishes” (snake, palladion, and so on), more or less securely tied together, or that Apollo is certainly a Hittite god, or rather a brutal and violent Asiatic, the kind of experimental analyst that I have in mind will feel more free to study how groupings are organized and, above all, whether they are variable and diversified, to undertake in-depth analyses of the coherence of certain configurations, and to see how the most deeply contrasted gods react in relation to one another. In the field of Greek polytheisms, the surest way for an experimental approach to proceed is by conducting litmus tests using concrete objects, rather than by engineering direct confrontations between integral powers whose individuated characteristics, however implicit, disrupt the effects of the experimental procedure. The surest, if not the most direct way to analyze whole complexes of relations between deities and to avoid being led astray by the immediate forms of gods so prone, ever since the days of their original native devotees, to become individuals, is to approach them by way of concrete details and segments of situations: through objects, gestures, and situations. In our study of the links between the gods with mêtis, we mentioned some of those objects: the bit, the horse, the ship, the rudder; and some of those concrete gestures or actions: guiding, traveling, crossing, defining limits; as well as certain situations whose provisional institutional context would be war, marriage, agriculture, death, or birth, all of which would produce a profusion of concrete and, in principle, limitless gestures and objects. It is not hard to draw up a list of them. Here is a sample, in alphabetical order: bow, dolphin, nightingale, seal, spear, spindle, winnowing basket, and so on. Even the so-called scholars and historians of religions, curious about the “attributes” of certain gods, have frequently (and most usefully) studied what they call their “symbolisms,” and have in this way produced fragmentary encyclopedias and conglomerations of religious representations. But it was the ethnologists, first and foremost Lévi-Strauss, who revealed the wealth of concrete objects, gestures, and situations that can be used to further our understanding of the mythical tales and adventures of supernatural characters. They have shown us that any object, with—in principle—an infinite number of features, can be associated with other objects in limitless series of associations. This is where a knowledge of the ethnographic context comes in, for it is this that helps an analyst of polytheist complexes to learn everything possible about the fauna, the flora, and the customary practices of games, hunting, and warfare; about, in fact, all the material and concrete aspects of a particular culture. Whether they are reading mythical tales or studying configurations of the gods, Greek scholars, for instance, need to be familiar with not only rituals, calendars, and religious rules but also the native treatises on plants, animals, stones, minerals, and techniques—everything that will enable them to “plug into the cultural network,” in much the same way as ethnologists in their villages or engrossed in an ethnic group about which the Observers of Mankind have had the patience to write an encyclopedia. Experimental procedures are familiar to comparatists who, like Lévi-Strauss, undertake to compare two different systems, taking some well-defined object, easily isolated, the different states of which, revealed by observation, can be analyzed by studying just a few variables, sometimes reducing their number, sometimes concentrating on those of the same type. It is true that Dumézil, for his part, on more than one occasion preferred to give priority to points of similarity. But frequently also, in the course of studying the warrior function (the Third Hero killing a triple adversary), he strove to make out how each of the societies being compared imagined the destiny of the “Third Hero” once the murder had been committed, and he thereby showed that there were at least four ways of avoiding the consequences of a necessary killing. Dumézil had the idea of paying attention to internal interactions and significant details in order to test the impact of the tripartite structure on a whole series of “notions or categories both concrete and abstract” which at first sight seem important in all societies or, more particularly, in the Indo-European ones that constituted his own field of research. Objects, gestures, and segments of situations constitute “litmus tests,” that is to say things that provoke a reaction when in contact with a power, an object, or a gesture that then reveals some hitherto unnoticed aspect, a hidden property, or an unexpected angle. The most simple principle of such experimentation is to find out “what happens.” For instance, Dumézil showed us what happens when what is involved is a horse—by no means a random choice in a “civilization” in which the warrior function, with its horse-drawn chariots, was responsible for such overwhelming conquests. When placed in contact with a qualified representative of each of the three functions, the horse revealed three different aspects of its animal nature and at the same time drew attention to a number of features of the tripartition. When attached to the quadriga of a sovereign god, the horse manifests the power of the triumphant victor, advancing under the sign of Jupiter, whose priest was forbidden ever to mount this noble animal, let alone to offer it up as a sacrifice. When offered as a sacrifice to the god of war—to Mars—the same animal exalts the warrior virtues and the qualities of death; in contact with the third function, the horse is simply a member of the horse family and becomes a beast of burden on a par with a mule or a donkey. Had there been five functions in the Indo-European world, the horse would have had an extra two qualities. Similarly, the object constituted by the horse’s bit, which seems to be absent from the Indo-European domain, may serve as a litmus test in a configuration comprising, in different forms of association, various Greek deities such as Athena, Poseidon, the Telchines, Hephaestus, and others. It is by paying attention to whatever is most concrete that the microanalyst finds the means of experimentally probing the configurations of divine powers, and it is these that constitute the primary data and elementary forms available to an observer of polytheisms in Greece. Consider, for example, a god such as Apollo, well known ever since the Iliad to be involved in a number of important configurations. Through his epithets, his cults, and his rituals, he presents an attentive observer with a number of very concrete modes of behavior to which both the Homeric epic and the sixth-century BCE Hymn dedicated to him testify directly. 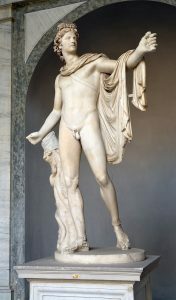 Throughout Greece and over many centuries, Apollo was known as Aguieus: the god of paths, roads, and networks of ways. He opened up routes and marked out paths with stones, stones that were carried by his sixth-century BCE priests in a seventeen-kilometer-long procession from the gates of his Milesian sanctuary to the gates of the sanctuary of Apollo in Didyma. Stones were positioned along routes for him, and carried in procession for him, and meanwhile Apollo was himself given a figurative cult presence as a pillar. The Homeric Hymn to Apollo tells us at length of how the god born on Delos would lay out sites, set his foot down firmly there, backtrack, and carve out territories, always organizing space thanks to his mastery of the network of paths that traversed it. There is an extensive concrete vocabulary for the interpreter to study: Apollo sets his foot down, clears the land, places stones, founds territories. For this god starts by clearing a way through the thickets, orients his journey through the “primitive forest” (hulê, which later came to mean ‘matter’). Better still, he builds his own roads and, once arrived in Delphi, he sets about laying down stone foundations, raising walls, and sinking the threshold slab into position. He is an architect and a founder, in the fullest sense of the term. Along the paths of Apollo, which intersect with those of Hermes and the crossroads of Hecate, and pass through the sanctuaries of Poseidon, stones are carried, moved from one place to another, to be set down and fixed in particular places. And there are thresholds to be laid down, crossed, and defended; doors to be made and to be protected; precincts to be plotted out; boundaries to be established, walked around, and prohibited to others. What does a microanalyst do when faced with these stones and doors? Certainly not waste time wondering whether they constitute “proof” of a transition from aniconic to anthropomorphic figurative representation. The Apollo Belvedere coexists, quite indifferently, with an Apollo-pillar or an Apollo in the form of a conical stone, which is how the ordinary everyday aguieus is represented. The microanalyst knows from a whole series of epithets and a study of how things are organized that the god Hermes, Apollo’s little brother, shares with the god of Delos, Delphi, and Megara a whole set of qualities relating to doors and paths, thresholds and stones, precincts and altars; not to mention music, musical instruments, and speech and its effects. That is the field of experimentation and manipulations that await the analyst. By this stage in the inquiry, an analyst who has not thought it necessary to go armed from the start with an identity card for Apollo, is nevertheless in possession of a number of concrete indications relating to this god and, thanks to these, can glimpse certain orientations within a domain that is recognizably more or less Apollonian, for that has already been realized as a “domain” that overlaps with the fields of activity of several other powers, some of which are associated together regularly, others only occasionally. The time has come for the second stage in the analyst’s investigation, that of choosing one particular configuration within the Apollonian field and seeking out the reason for the grouping or the significance of the interconnections that the analyst will try to detect, testing them out against all that is known of polytheisms and the society which, as evidence shows, uses them. 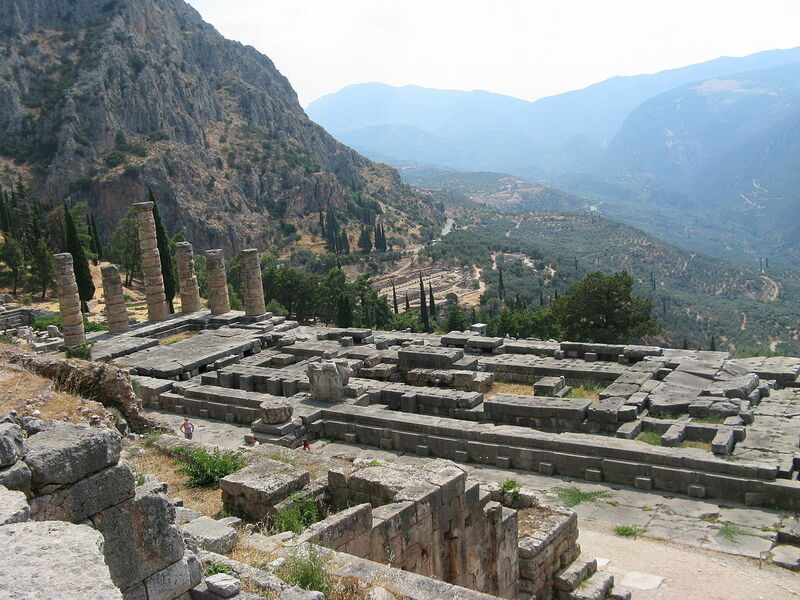 The configuration in the sanctuary of Delphi, for example, gathers around Apollo, Poseidon, and Hestia, and also Gaia, along with Themis; and to these powers we should add Dionysus, who was certainly not the last to arrive in this select circle assembled around the Pythian oracle. As a rule, a microanalyst, confronted with a grouping of gods, prefers a couple or a triad rather than a gathering as complex as that surrounding Apollo in Delphi. With a pair such as Hestia-Hermes or Apollo-Hermes, the analysis may adopt one of two methods. The first is to undertake an internal exploration of what each of the two powers stands for, testing them out in the context of stories, cults, rituals, and institutions, some of which at the same time encourage the joint or opposed actions of the two deities, who thus seem to express the structure of a pantheon. The other method, which seems to me to be complementary to the first, is to study the reactions of the Hestia-Hermes or Apollo-Hermes pair by placing them in contact with all the other groupings available, frequently making the most of the explicit relations between them, and starting with those that are closest to the original pair, such as Hestia-Apollo-Poseidon, Hermes-Aphrodite-Hestia, Poseidon-Gaia-Apollo-Themis. Either way, the approach remains experimental and aims to uncover sets of underlying relations. The configuration of Apollo in Delphi emerges from the founding footsteps of a god who, with care, can be apprehended through the objects, gestures, and concrete situations that come to characterize him as he makes his way from Delos to Delphi. The best way to track down Gaia, Poseidon, and Hestia is to follow Apollo’s journey step by step, as it is recounted in the Homeric Hymn devoted to him. The verb ktizein links the gesture of clearing the way, cutting a path through a primitive forest, with the act of establishing something in an enduring fashion, or of founding. Parallel to this, the action signified by bainein and its compounds indicates moving from one place to another, treading firmly with “a sure foot.” Apollo’s tread causes things to tremble. His foot is that of a soccer kicker; it is shattering and always makes its mark. Solidly positioned, the god protects towns and territories, his legs firmly straddled “on either side.” His stability is comparable to that of a well-constructed road linking one point to another, a road with both a beginning and an end, an arkhê and a telos. In all his Apollonian stability, the god encounters the only deity to be found on the journey to Delphi. This is not Gaia, but Poseidon: the Poseidon of Onchestos who, in his sacred wood, reigns over the newly tamed horse and the harnessed chariot. Poseidon is already there. In Delphi he catches up with Apollo and offers him “a pure base” (dapeda), flattened ground upon which his nephew, a founder through and through, sets the themeilia, the threshold stone, the load-bearing walls, everything that needs a base and setting that is sure (asphaleios), a quality in which Poseidon is well tried, particularly on sites where he is presented as Apollo’s accomplice and cofounder, where Apollo assumes the role of arkhêgetês, leaving to his uncle the responsibilities of themelioukhos, the one who solidly holds the foundations fast. The presence of the couple formed by Apollo and Poseidon in the temple of Delphi, along with the marginal position of a small sanctuary consecrated to Gaia, suggest that we should not subscribe to the belief of Delphian archaeologists for whom an Earth who is manifestly oracular is altogether in harmony with this natural site that has a mantic vocation and that boasts, along with its spring and its trees, a cleft in the rock and a laurel bush. As is well known, after one hundred years of excavating Delphi with a fine-tooth comb, nothing at all has been found to indicate the presence of a Gê with a prophetic activity. Here in Delphi, Gaia is mute, just as she is at Olympia, representing a stage in her existence that came before she ever manifested any oracular powers by dispensing advice to the future gods. As a marginal figure associated with the temple of Apollo and situated out there on the Delphic horizon, Earth without a doubt represents a base forever secure, the very base implied by the Poseidon of “pure foundations.” This is not the Gaia whom some prefer to see as a paredros (a term meaning an assessor of other deities, frequently used in the inflexible language of the history of religions). Rather, this is the Earth known as the Well-Founded One (Euthemethlos), because she is self-founded, in herself. Just beneath the surface it becomes possible to make out the hierarchy by which Delphi is inhabited: the Self-founded Earth, Poseidon the Establisher of Bases, and Apollo the Builder-Founder. Hestia, who is enthroned at the heart of Apollo’s dwelling, is also related to Earth, through Rheia, her grandmother. Both for the Pythia and for the sacrificers who came to consult her, Hestia’s strength of endurance and her quality of stability are represented by the hearth, the altar-hearth of the house. This is the Hestia who, for all Greek cities, became the “pure and eternal” Fire, the Common Hearth, but who was also a power favoring new cities, with their own altars and their own Prytaneis. 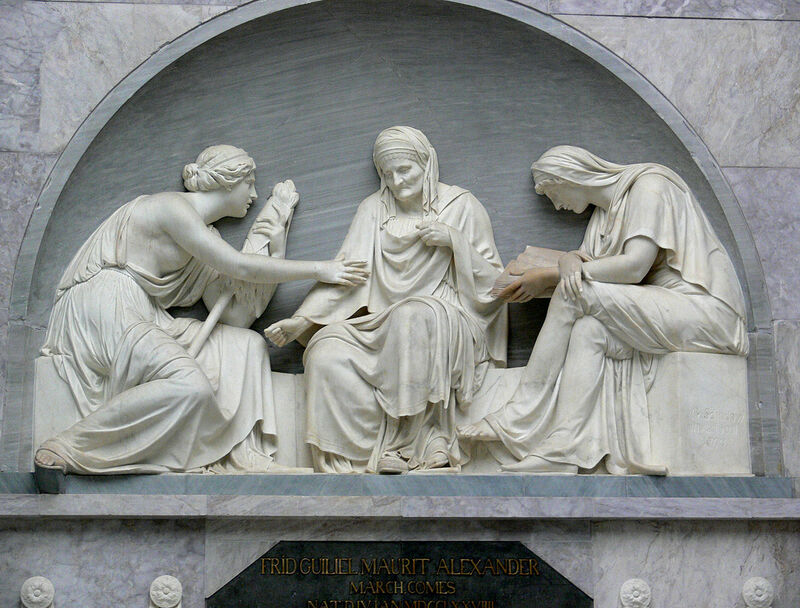 She is also Hestia Dômatitês, active in the construction of homes, and courted in her own by both Apollo and Poseidon, both of whom are known as dômatitis and are characterized by their attraction to Hestia’s fine stability, her “unshakable basis,” which uncle and nephew alike consider so very desirable. Where oracular speech was concerned, however, Apollo expected nothing from Hestia, and she was left as mute as Poseidon. Meanwhile, the young god’s nurse, Themis, far from presiding over “the oracles of Earth,” is instituted as the deity who, intimately connected with Apollo, leads one toward the themistes, the “founding words,” or thesmoi, the “decrees” issued by the Lord of Delphi when he speaks and themisteuei. Themis mediates between Gaia and Apollo, and is seated close to the oracular tripod, as a Pythia who can imbue prophetic speech with its most important meanings. As the mother of both the Moirai (the two Shares, led by the Apollo Moiragetês) and also the Horai (the Seasons, who regulate the social order), Themis reveals herself to be an expert at telling of both the present and the future in her decrees, imbuing oracular speech with its foundational power from her position in the divinatory sanctuary that was the very first to be established, before any other foundation, by Apollo, her nursling. Another way to penetrate this complex would be by way of bainein, which leads to an Apollo “from the seashore,” a “maritime” god known now as Embasios, now as Ekbasios, a god who embarks and disembarks, and who thus crosses the paths of Poseidon, Athena, and Hera. This is an Apollo who, through the Argonauts’ expedition, was related to the consultation of the oracle, to the authorization of departures and returns, and to modalities of intervention very close to those revealed by the building of ships, navigation, and the perils of the sea, considered from the point of view of other more or less “maritime” powers. By proceeding in this fashion, an analyst of the configurations of polytheism remains free to take apart and reassemble what Clifford Geertz would call “the partial logics of thought.” Instead of choosing, right from the start and perhaps unconsciously, between two robotic portraits of a god such as Apollo—on the one hand, that of a god of moral superiority (W. F. Otto), on the other, that of a god of terrible violence (J. Defradas)—the microanalyst can break things up, focus on details. The more he restricts the field of comparison—for instance, to the foot and the threshold, in the case of Hermes and Apollo—the more possible differences and distinctions he will discover between those two powers and likewise between others incorporated into that particular comparison. It cannot fail to be interesting to see how Poseidon, Hestia, and Heracles react to a threshold, or to the movement of a foot, or to a stone, whether this be carried or fixed upright in the ground. All of these are ways of penetrating the tiny systems of thought that are embedded in gatherings and groupings of gods, of seeing how, as G. Lenclud suggests, the adoption of one particular element of thought or one particular rule of action prompts a culture to make a choice, and of detecting what constraints are at work in the configuration selected, given its cultural context. Perhaps “manipulation” would be a better word to use than “experimentation.” For experimentation necessitates coming back repeatedly to the phenomena observed and possibly altering the conditions under which the experiment is carried out. Manipulation, on the other hand, may cover what I mean when I speak of bringing into contact and prompting reactions between phenomena and configurations that are never repeated in precisely the same form in the course of history; phenomena and configurations which, however, in a single culture probed deeply throughout its duration, may recur formally in contexts sufficiently varied to reveal the transformations that may be undergone by some of the elements composing them. Let me repeat my position: the experimental approach that I am proposing in no way sets out to dismiss the characteristics that make up the style of the polytheism of the Greeks: namely the fact that the forms (skhêmata) of the Olympians were already clearly indicated at the dawn of Homeric culture; that, at the hands of painters and sculptors, the figures of the gods early on and everywhere acquired individual characteristics; that poets and craftsmen working with words constantly surrounded the great gods with strictly personalized stories and eulogies; and that, depending on the place and the time, the settings of polytheism were modified and redrawn for particular and deliberate purposes. 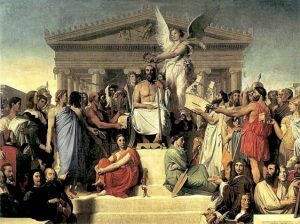 The freedom with which certain political assemblies reorganized the calendar of festivals and the hierarchy of sacrifices constitutes an important indication of the nature of polytheistic practice in Greece. But as they acted thus, the Greek cities were not reorganizing the gods in a haphazard or arbitrary fashion; rather, they were experimenting, on a day-to-day basis, with certain combinations made possible by the system. By drawing attention to all that is not stated explicitly about the gods and their powers, I should like to encourage analysts of polytheistic complexes to investigate the way in which the divine powers are linked in dozens of aspects with the objects and phenomena of social life and the natural world. To be sure, it is possible to relate the gods to one another explicitly in configurations presented in stories that are either mythological or “theological,” in the Greek sense. But firstly they are bound together in a series of micronetworks which reveal them as interacting in a complex fashion throughout the entire cultural field. Only by dint of repeated manipulations will we gradually come to glimpse the richness of the polytheistic fabric in societies where, for one thing, every god is plural. 3. 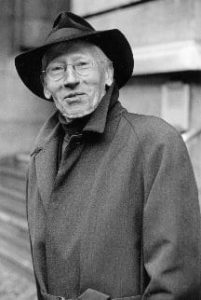 See G. Charachidzè 1968. 7. See Dumézil 1952 and 1977. 8. See e.g. Dumézil 1973:10–16. 9. See e.g. Dumézil 1954:78. 10. Dumézil 1949:1 and 1966:179, 229. 12. Iliad V 330–430. In Martin Hammond’s translation. 13. It was in their name that F. Robert wrote a critical review of my work entitled “Artémis et Athéna” (1976). 14. Detienne and Vernant 1978:175–259. 16. Pausanias 7.22.4. Translation of W. H. S. Jones. 17. Aeschylus Suppliant Maidens 189–222. 18. See Sokolowski 1969, no. 18, 36–44. 19. In one of its major—it must be said—indispensable productions, Paulys Realencyclopädie der classischen Altertumswissenschaft. 20. This is the view of F. Robert 1976. 22. The image of a litmus test is suggested by Dumézil 1954:74. 23. This is seen in Lévi-Strauss throughout his works from “La geste d’Asdiwal” (1958) onward, but in particularly illuminating fashion in his more recent work: Histoire de Lynx (1995). 24. This was the method that I adopted in The Gardens of Adonis (1994a), returning to consider the subject more attentively in the afterword, “Revisiting the Gardens of Adonis” (133–144). 26. This aspect has been emphasized by a Latin interpreter of Dumézil, J. Scheid 1983:343–354. 27. See Dumézil 1954:73–91; 1966:276–78. 28. For the necessary references and comments, see Detienne 1998a. From Comparative Anthropology of Ancient Greece, by Marcel Detienne. Published by The Center for Hellenic Studies under a Creative Commons Attribution-NonCommercial-NoDerivs 3.0 Unported license. This entry was posted in Anthropology, Greece, Greek, History, Religion. Bookmark the permalink.